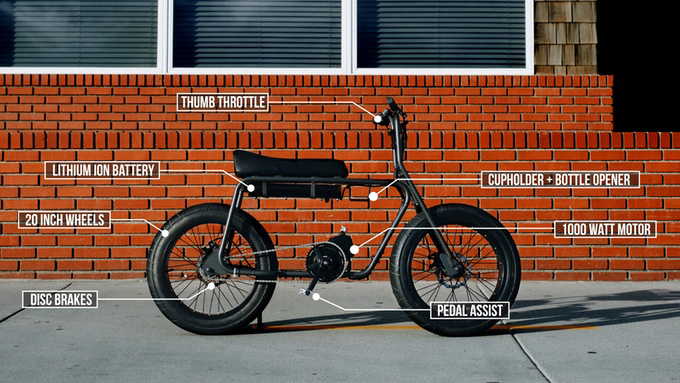 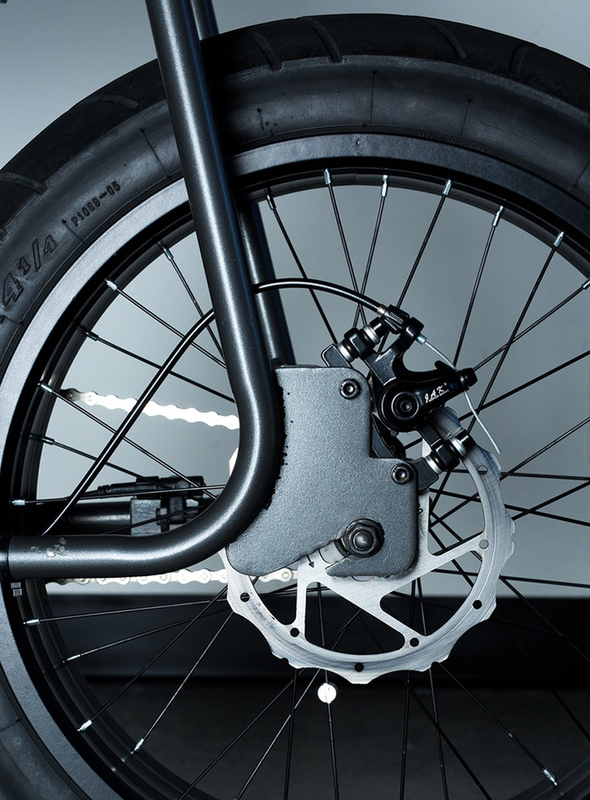 Like the Ruckus, Lithium Cycles’ Super 73 is based on the style of kids’ mini-bikes from the ’70s. 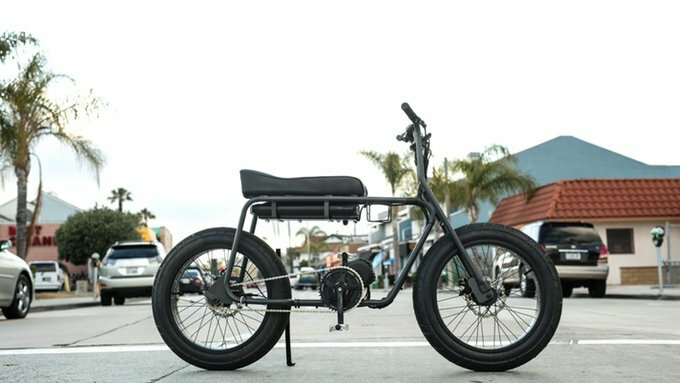 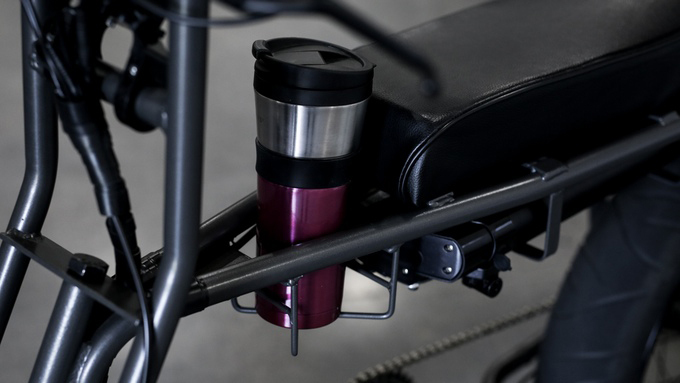 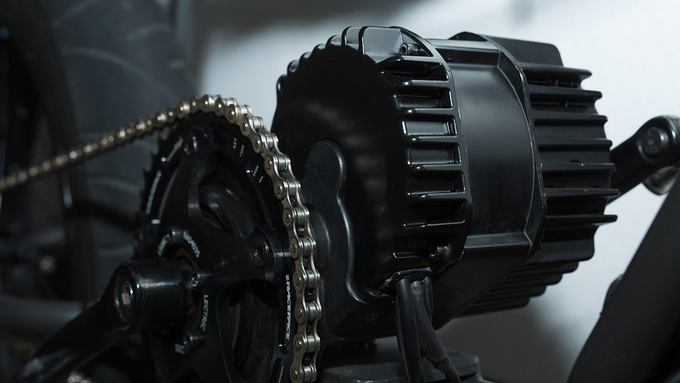 It has a low frame and a long cushioned seat, a 1000W motor, a removable battery, drink holder, 20″ wheels and disc brakes. 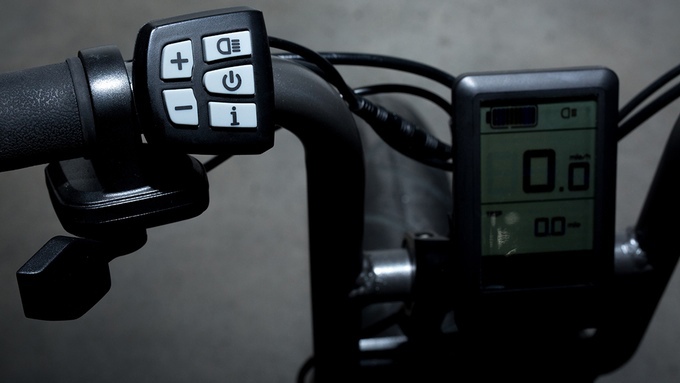 It goes up to 27mph for 20mi per charge.